Architectural Fireplaces of New England, Inc. is pleased to offer you the opportunity to enroll in our Scheduled Maintenance Plan. Our two brands, Heatilator and Heat & Glo, both recommend having your fireplace serviced and inspected once each year by a qualified service technician. 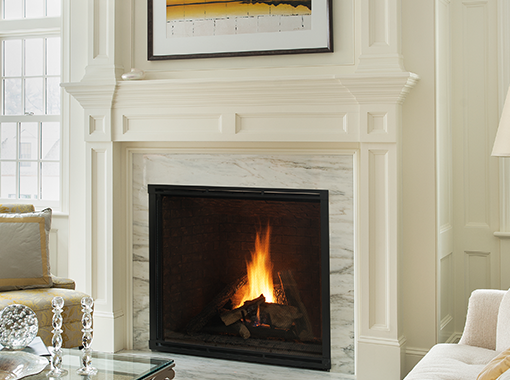 Architectural Fireplaces is the largest distributor of these two lines of fireplaces in New England and is one of the only service companies in the region with service technicians that specialize exclusively in Heatilator and Heat & Glo. Simply put, nobody is more qualified to service your fireplace than we are! The primary purpose of scheduled maintenance on your fireplace is safety. To that end, we check for leaks, blockage in the visible portion of the venting, integrity of the firebox, correct flow of gas, etc. Scheduled maintenance is your best bet for ensuring your fireplace and its parts have the longest lifespan possible. You’ll get the most miles and years out of your car with regular maintenance; your fireplace is the same. During routine preventative maintenance visits, our technicians can generally spot an issue before it becomes a problem. If any issue arises requiring a return visit, that visit receives priority scheduling.